Business schools ask for a resume as part of the application package because they are professional schools and they want to see your professional record. But MBA admissions resumes are subtly different from ordinary work resumes and it’s important to distinguish the different requirements — see below. Much is also identical in a normal resume and an MBA admissions resume, so you should start by getting yours as good as it can be as per conventional requirements. There many guides to this, free on the Web. I won’t dwell on the principles at length here, but be certain to take note of at least these basic points. Contain evidence, particularly quantitative records of budget managed or people supervised, etc. Those are the basics. And this is first base for Adcom too. They want to see you can do this common business communications task effectively. The mistake that many of my clients make on their first draft is to proudly present their past experiences and achievements, which are very often technical or specific to the field they are exiting. 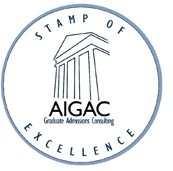 Success is always good, but MBA Adcoms don’t really care whether you cracked a complex software conundrum or isolated a biological compound or developed prefabricated housing units. What they care about is whether you will make a good manager or leader, that is, the management portion that is there (or is implied potential) in what you did. So that is where you should focus: the management, leadership, organizational (teamwork) or innovation implications of your past experience, that suggest future recruitability as a manager. Don’t say: “Developed molecular compound BN2P4R in 3 months using ‘BitsProDev’ software analytics.” Say: “Was part of team that developed unique molecular compound; led presentation to the Board; liaised with PR in media announcement.” And so on. 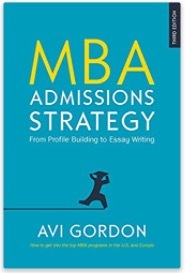 The other key part of making your resume an MBA admissions resume is to work carefully with the knowledge that, unlike a typical employer, Adcom has various overlapping sources of information about you — not least all your file data. So you want to augment that rather than simply repeating it, in order to get your file data, resume, and essays to elegantly dovetail rather than simply overlap. Your resume should not leave out basic resume attributes: dates, places, company names, and so on, even if this is already in your file data. But there are often ways to cut out repeating subsidiary information — names of products or service units and so on — that often just “jam up” a resume. This should leave space to go longer on quantitative evidence of management-oriented experiences and successes. In fact, I counsel admissions clients to put as much quantitative data in the file data and resume as they realistically can which, in turn, frees up the essays to be a little more personal and reflective. Top-3? Top-6? Among elite MBAs does it really matter where you go? I select extracts to present here because the comments — before they descend into the flaming and slanging that bedevils these forums — deal with important (and corrective) thinking about what matters with rankings, and to whom, and helps understand how US program rankings are perceived internationally too. It finishes with common sense that I endorse. Original question: “Does rank really matter among Top Business schools? With my European point of view, I consider that there are only 6 Top Schools (in descending order): HBS, Stanford, Wharton, Columbia, Booth and Kellogg. Actually, I don’t really care about rankings here: my only criteria is prestige (which in my view is the only thing you can’t ignore when applying to business schools). In Europe, these schools are famous: if you say Stanford or Columbia, everybody knows what you’re talking about. [But]If you say Tuck business school (at random), very few people will have heard of it regardless of the quality of the school. The Carey School? Never heard of it? It is Johns Hopkins University’s school of business, as renamed in 2006 when the university received a $50 million endowment from banker William Polk Carey. It’s well known that JHU has been a bit of an oddity — a top-tier university with relatively little offering in business management. It has had a part-time program available at its Washington, D.C., campus, but nothing that attracted serious attention. Now that’s all changed. As reported in BusinessWeek, Johns Hopkins University is launching a new MBA program in August, in Baltimore, and it intends to become one of the world’s best. The admissions implications are this: for a while — a few years — Carey will be relatively easy to get into. It will quickly move up the ranking based on the stellar JHU brand (it is particularly renown medical and public health schools) and soon will be as hard to gain admission as at any top program. If you’re prepared to think a little creatively, and move quickly, you can have a top-tier MBA ticket even if you’re likely to face a lot of dings from the established schools. As BW reports, the Carey School is seeking to distinguish itself by designing a curriculum that will capitalize on Johns Hopkins’ strength in medicine and public health, have a focus on emerging markets and ethics, and encourage innovation and entrepreneurship. Yes, there will be challenges. As a prospective student you should be aware that the Carey alumni network will be nascent at best, and career services won’t have a lot of clout in the market. The school’s inaugural dean, Yash Gupta, is busy recruiting top faculty and still working on AACSB accreditation, and this could all fail. But, brand capital in the bank says chances are it will succeed. And, as with Oxford-Said and Cambridge-Judge in the early days, top-tier admissions is currently there to be had even if you’re a long-shot applicant.